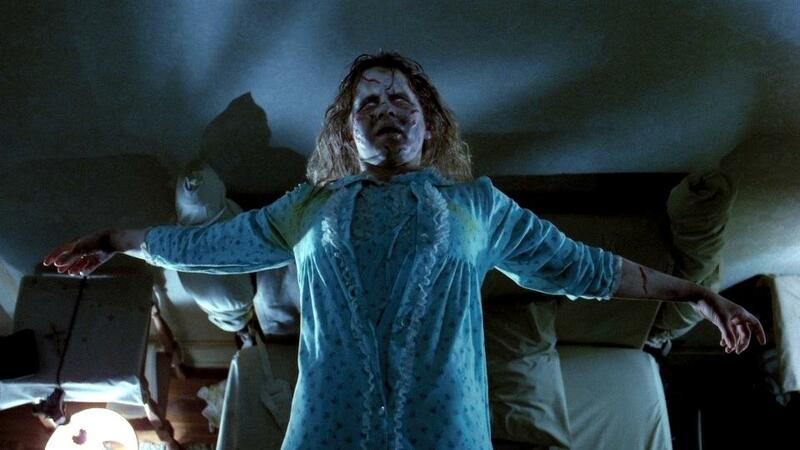 Over the last several decades, the horror genre has had its share of ups and downs. We’ve seen it transition from the otherworldly ghost and demon films of the 1970s, all the way into the rise of the slasher film with major Hollywood studios in the early eighties. With the success of big name franchises such as Friday the 13th, Halloween, A Nightmare on Elm Street, The Texas Chainsaw Massacre, The Shining, and Hellraiser, the genre reached its commercial peak. The world, it seemed, couldn’t get enough horror. It wouldn’t be until the early nineties that the genre would encounter a major decline in quality. After the commercial boom of the eighties, the slasher trend had died down. With sequel after sequel of increasingly poor output, many declared the genre dead. Horror, it seemed, was doomed to an obscure underground following and nothing more. The genre’s few notable hits during this time were mostly comprised of films that defied the brand of “horror” altogether. Motion pictures like Silence of the Lambs were marketed as psychological thrillers, in order to cover up the taboo horror label. The few openly horrific movies of the decade often consisted of ironic self-parody. Films like Scream and I Know What You Did Last Summer capitalized on the genre’s then tired and outdated conventions. This postmodern take on the traditional horror formula was ridden to minor success by film directors such as Wes Craven, but in the long run, it wasn’t enough. Horror fans wanted more. Enter the early 2000s. A bloody new wave of slasher films had taken audiences by storm. The idea of a killer using torture devices to “teach” his victims the value of life offered a fresh new take on an old premise. The leader of this movement—The Saw franchise—would spawn six sequels, and would develop an immense following. In its wake, the horror formula changed once again. By the end of the 2000s, the popularity of torture films was waning, while more and more supernatural works were taking their place. Following in the footsteps of films like The Blair Witch Project, a string of cheaply produced found footage horrors came to the big screen. The Paranormal Activity series spawned a multimillion dollar franchise, working on a budget of only $15,000. This led to a slew of cheap imitations and knockoffs, including such films as Episode 50, Atrocious, and Area 407. This brings us to the present, where found footage films have become the latest in a long string of Hollywood trends. With such gung-ho bandwagon hopping, fans are left to wonder if the genre hasn’t run out of steam. Has horror finally bit the dust? It’s a question that has no objective answer. 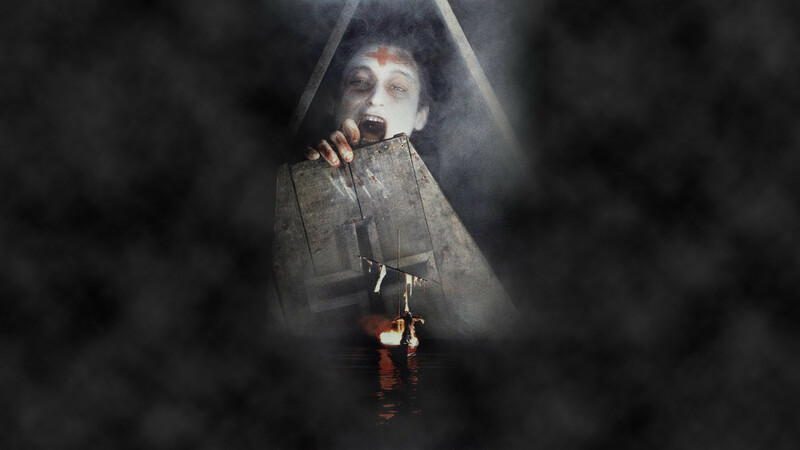 To help readers decide, Taste of Cinema presents a list of the top fifteen supernatural horror films made over the last several decades. Each motion picture has been selected based on cultural impact, lasting effect, public and critical reception, and scenes likely to keep viewers awake at night. Written and directed by filmmaking duo Leigh Whannel and James Wan of Saw fame, Insidious was a powerful entry into the supernatural horror subgenre. For parents, the idea of a little boy falling into a seemingly irreversible coma was scary enough on its own. Add to this the boy’s sleep-induced connection to an underworld housing the dead, and you have the perfect recipe for nightmares. 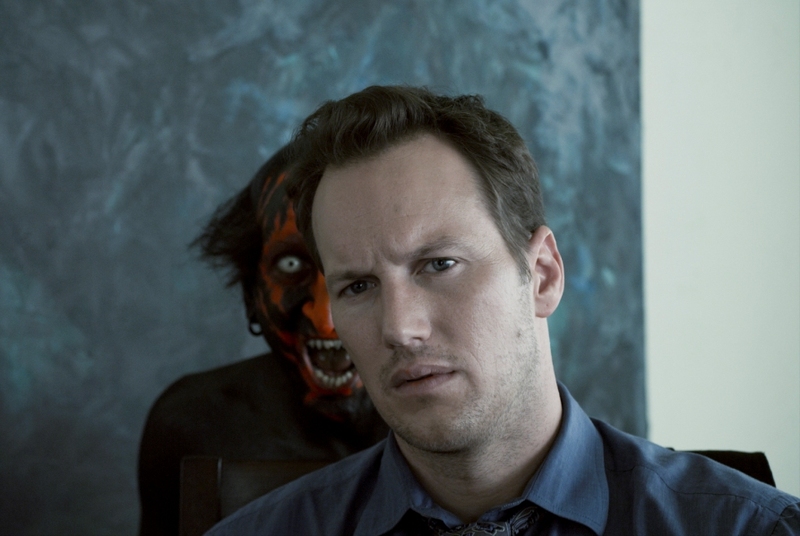 Despite its many strengths, Insidious is not without a few minor faults in terms of story development and originality. The way the Lambert family sits down with a psychic medium to contact their son is a little too reminiscent of the nearly identical scene from Poltergeist. The film also relies too heavily on jump scares, which occasionally robs the atmosphere of its fragile, ominous tone. That said, when the “boo moments” work, they work well. The film’s monstrous villain is used to great effect. Joseph Bishara’s portrayal of the “red-faced demon” is especially memorable in the film’s final sequences. He moves and acts like an insect, crawling along walls and pouncing as he stalks the Lambert’s young child. With disturbing, visceral imagery and a horrifying demon entity to boot, Insidious manages to elevate itself above old horror clichés, making the beaten path feel interesting and fresh. Here we have the film that kick-started the found footage horror craze. While it’s true that the subgenre’s roots belong to The Blair Witch Project, this picture introduced a minimalist approach that felt almost naïve in its simplicity. Gone were the psychopathic, chainsaw-wielding maniacs and bloody torture traps of decades past. In their place, audiences were presented with a film that focused on tension-building and subtlety. Directed by Oren Peli, Paranormal Activity struck a chord with horror fans with its realistic setting, characters, and development of plot and atmosphere. Then no-name leads Katie Featherston and Micah Sloat do an excellent job portraying a modern couple living together. We see both sides of Micah—immature when lounging about with his girlfriend, yet believably protective of her when the paranormal mayhem gets underway. Katie’s initial embarrassment when she first reveals to Micah that a demon has been stalking her since childhood helps to build an eerie yet credible backstory. In terms of scares, Paranormal Activity doesn’t rely much on visual jumps. Instead, sudden noises are heard off-camera that will send viewers into fits of fright. In true found footage fashion, everything is recorded by Micah’s home video camera while. This adds to the spook factor, because the stationary camera is unable to pan away or cut during disturbing scenes. The film’s greatest strength is found in the little tidbits of unsettling paranormal evidence, left behind in various ways by Katie’s demon. At one point, Micah pours powder on the floor to try and catch the demon. The next morning, footprints are found in the powder. It’s these understated, creepy touches that make Paranormal Activity stand out amidst the flocks of other found footage material. Whether or not you’re a fan of horror cinema, chances are you’ve heard the name M. Night Shyamalan. This director’s career and reputation have fluctuated over the years, causing opinions of his works to vary. 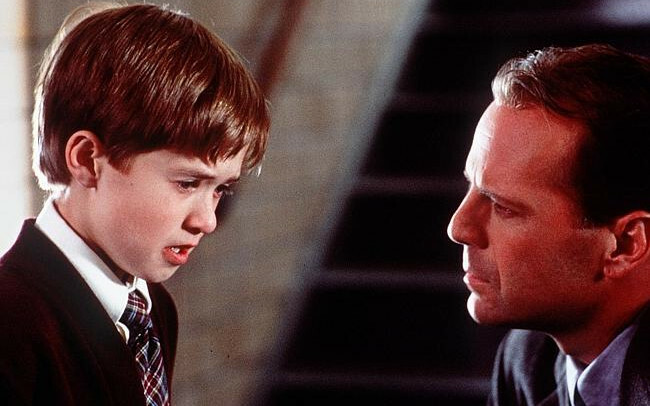 It is generally accepted, however, that Shyamalan’s first major film, The Sixth Sense, is one of his best. The film stars BruceWillis, Toni Collette, Donnie Wahlberg, and Haley Joel Osment. Willis’ portrayal of a child psychologist is spot-on. He becomes dedicated to Osment’s character as a patient, yet doubts his ability to help the boy based on his past failures in the profession. The way these two characters come together—Willis, haunted by his failures, and Osment, by his unique ability to see the dead—sets the tone for things to come. The combination of psychological trauma and paranormal incidents will have audiences questioning what’s real and what’s not. This helps to build suspense, and creates believable conflict between the characters. Long before the twist is revealed that Osment can “see dead people,” the audience is ready to jump at their own shadow. The scene where Osment sees the suicidal wife stands out, because it reveals a tragic backstory that brings the spectre to life. The wife is first seen in the kitchen, cooking. When she turns around, her wrists are slit and covered in blood. Terrified, Osment retreats, while behind him the woman shouts: “Lenny, you’re a terrible husband, Lenny! Look what you made me do!” The fact that Osment must act as the spirit’s unwilling conduit takes an already chilling premise, and hits it with an old childhood fear. This idea provides the perfect recipe for nightmares, while setting itself apart from other ghost stories with a highly original premise. Directed by horror maestro John Carpenter, Christine is a film based on the Stephen King novel of the same name. The film stars Keith Gordon, John Stockwell, and Alexandra Paul. Gordon’s character, Arnie, and best friend Dennis (played by Stockwell), are regularly harassed by school bullies. Eager to become popular and turn the tables on his enemies, Arnie goes off and finds a beater car for sale—a 1958 Plymouth Fury. Convinced the car will help increase his social standing, Arnie ponies up the cash, failing to notice the owner’s eagerness to part with the vehicle. His friend, Dennis, finds the owner’s behavior strange and tries to talk Arnie out of the sale, but he is ignored. 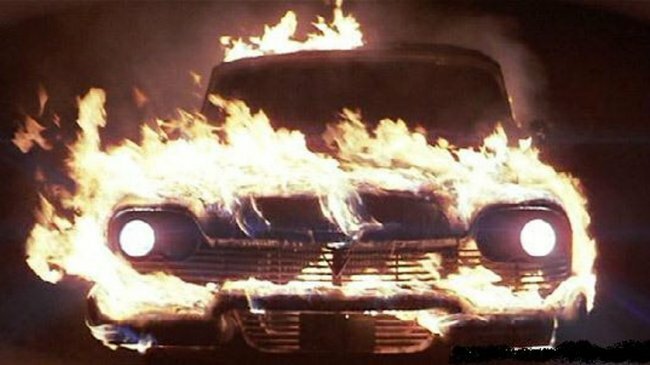 This establishes a pattern that escalates throughout the film, with Arnie becoming increasingly attached and devoted to the old Plymouth Fury. Gordon’s portrayal of a young man with an obsession is exceptional. At the start of the film, he plays the stereotypical nerd, and the audience is made to feel sympathy for his character. The lack of rationale behind his decision to buy the Plymouth later on (he has neither the money, nor the appropriate storage space) foreshadows his character’s undoing. Eventually, he begins developing a perverse relationship with the car. He wins over his dream girl, but ends up choosing the car over her. Eventually it’s revealed that the Plymouth is alive and possessed by an evil presence. The car—affectionately dubbed “Christine” by Arnie—comes alive, operating with a mind of its own. The carnage that ensues, coupled with Arnie’s obsessive devotion, makes for one fun little horror experience. Combine this with a fantastic score composed by Carpenter himself, and you have all the ingredients of a modern horror classic. Although the American remake of The Ring has attained far more commercial popularity, the original Japanese picture still stands the test of time. The film features a cursed videotape, which is said to kill anyone who watches it after seven days. Two teenage friends—Masami (Hitomi Satō) and Tomoko (Yūko Takeuchi)—have a discussion about the supposed “cursed tape” during the film’s opening sequence. Tomoko reveals that she watched something strange a week ago: a bizarre, short film that reminded her of the curse. She claims to have received the telephone call as described in the legend. Later that evening, the curse comes alive when Tomoko is killed by an unseen force, while her friend, Masami, watches in terror. Ringu’s greatest strength lies in the fact that, until near the end of the film, appearances of the ghost, Sadako (Rie Inō), are few and far between. The characters also react to the idea of “the curse” as anyone would, with chuckles and scepticism. Even after a reporter, played by Reiko Asakawa (Nanako Matsushima), first learns of Tomoko’s death, she’s hesitant to link it to the videotape curse. Evidence to the support the supernatural side of the story is presented sequentially. All the while, Matsushima follows a string of clues, looking to solve the mystery with logical answers where none exist. It’s the slow buildup of tension, as well as the lack of prominent jump scares that make this film stand out. Director Hideo Nakata never cheapens the scenes by throwing in a sudden, violent sound effects or visual jumps. Instead, the frightening sequences are forcibly slow and drawn out, and as a result, the terror holds a more deep-seated, lasting effect. This often-overlooked gem of a horror film by director Wes Craven explores themes of psychology, foreign culture, and the effects of psychotropic drug use. The film opens with the death of a Haitian man named Christophe (Conrad Roberts). A strange man in black is present at his funeral. As Christophe is buried, a single tear falls from his eye, suggesting that he’s still very much alive. Powerful symbolism and foreshadowing techniques are present throughout this sequence. The audience is made to wonder about the man in black, thus capturing their intrigue, and wrapping the plot in a veil of mystery. Seven years later, a pharmaceutical company approaches Dennis Alan (Bill Pullman) and requests that he investigate a drug rumored to be used in Haiti to create living zombies. The company hopes to design a “super anesthetic,” so they provide Dennis with funding and send him to the island. Once there, he learns that the zombie drug renders patients paralyzed, yet fully conscious. The mysterious man in black is revealed to be Captain Dargent Peytraud (Zakes Moake), commander of a Haitian paramilitary force. Peytraud’s men capture Dennis and forcibly administer the drug. He becomes paralyzed, is buried alive, and requires the help of Peytraud’s past victims to escape. For many, the concept of this film is horrifying enough on its own. Live burial is a commonly held fear across numerous races and creeds. The idea that a military dictator is drugging people and burying them as “living zombies” is enough to send chills down anyone’s spine. Combine this with a disturbing series of hallucinogenic visions and morbid imagery, and you get a uniquely-themed, visceral horror classic. 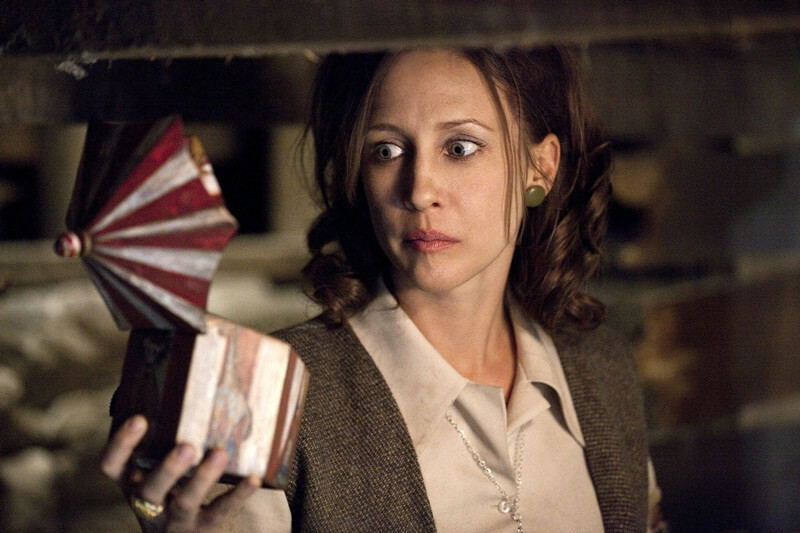 The Conjuring is one of the most popular and successful supernatural horror films of recent times. The story concerns The Warrens, a couple who work together as paranormal investigators. They are called in to examine the case of the Perron family, who have recently moved into a dilapidated farmhouse in Harrisville, Rhode Island. The Warrens discover that it once belonged to a woman accused of witchcraft. The woman, Bathsheba, sacrificed her baby to the Devil and then killed herself, but not before placing a curse on all who dared claim ownership of her land. The way the story unveils creates intrigue and fear, with one piece of the mystery unveiled at a time. Viewers will find themselves most terrified when nothing is happening on screen, and no noises are heard. The film plays with you psychologically, creating expectations and leaving them hanging without closure. Director James Wan very much intended for imaginations to run wild during the intermissions between each “boo” moment. This is what elevates the film above other of its ilk: it gets you looking for things that aren’t there, and prepares you to jump at shadows. All of this is made possible by a strong cast, with Lili Taylor in particular playing the most convincing demon-possessed character seen in film since The Exorcist. All of this combines to make the picture a worthy modern classic.